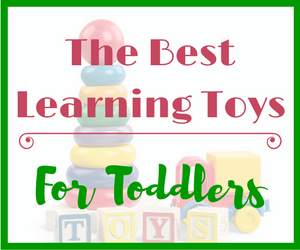 Seeme & Liz > Learning Toys (4 years and above) > LEGO Therapy For Autism: Is It Just A Trend? It definitely sounds like something trendy, doesn’t it? What child doesn’t like LEGO? So why not market LEGO to parents of children with Autism? But, would you be surprised if I told you that this type of therapy does exist? And there have been studies done to support this type of therapy! “Long-term outcome of social skills intervention based on interactive LEGO play“. The second study was done by Daniel LeGoff (is it a coincidence his last name has the word LEGO in it?) and M. Sherman. Daniel LeGoff is the original founder of LEGO therapy. If you want to see LEGO therapy in action with Daniel LeGoff, check out the documentary A LEGO Brickumentary (my kids LOVED it!). You can take a look at the trailer below. Unfortunately the part about LEGO therapy for Autism is not featured in the trailer. 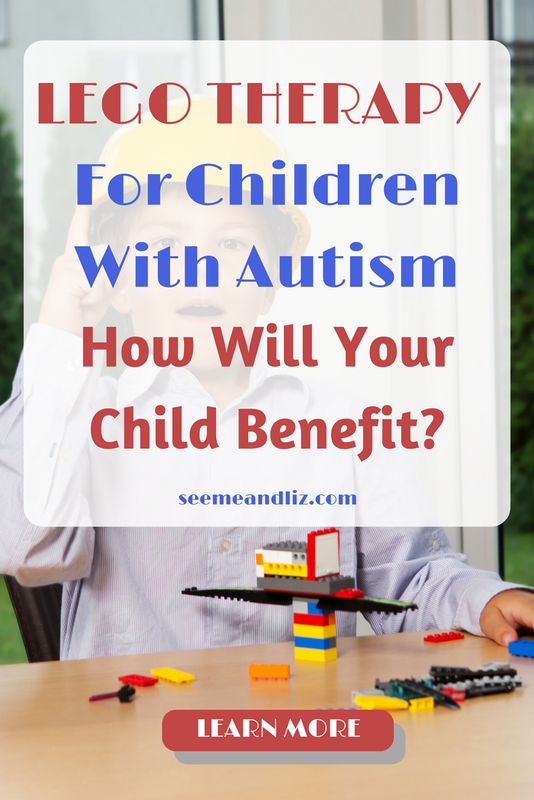 What Is LEGO Therapy For Autism? LEGO Therapy falls into the larger group known as Play Therapy. And as I mentioned above, several studies have been done that demonstrate the effectiveness of using LEGO as a therapy tool to enhance language, play and social skills for children with Autism. One of the reasons that children with Autism (or those who are on the Autism Spectrum) gravitate to LEGO is because these blocks can offer a routine and repetitive form of play. Children with ASD (Autism Spectrum Disorders) thrive on routine and structure. Another wonderful aspect of LEGO is that the child does not need to know how to read in order to follow the instructions that come with a LEGO set. Children can look at the pictures to determine where each piece goes. Below is a brief outline of what a LEGO therapy class could entail (this is based on the class from the documentary, however, my research on this topic has shown that this is the general consensus for most LEGO therapy classes). Depending on the needs of the children, each therapy class can be tweaked, however the overall plan is pretty much the same. Each week, the rules of the group are reviewed and revised as necessary. The rules will depend on the age and level of functioning of the children. At this time, a LEGO project (or projects) is also chosen. This is something that the group must agree on. Each child is given a role. The roles usually change throughout the class so that each child gets a turn preforming each role. Director – makes sure everyone is working together as a team and that nobody is left out. Engineer – makes sure that everyone is working towards the same goal (e.g. building a boat). Builder – puts the bricks together. Supplier – provides the builder with the bricks needed for a particular project. The supplier is also responsible for making sure the correct brick type and color have been selected. If there are only 2 children per group, then the roles would be that of engineer and builder, where the builder also takes on the role of supplier. With 3 children, the roles would be engineer, supplier and builder. Groups of 2-3 children are common in LEGO therapy. Once the rules have been reviewed and the roles have been assigned, the building can begin! The therapist will walk around and help children come up with solutions to their problems. If the children are unaware of a problem, the therapist often will point it out. The children are encouraged to problem solve on their own as much as possible. Many children will require practicing a solution to a problem many times before they will use that solution on their own in future situations to similar problems. What Are The Goals Of LEGO Therapy? The goals generally are social in nature as this is one of the biggest areas of struggle for children with ASD. LEGO therapy encourages children to initiate social contact with peers. It also helps improve a child’s ability to interact with a peer for a given amount of time. Who Is LEGO Therapy Not For? This type of class is not recommended for children with additional diagnoses of behavior disorders such as ADHD or ODD (Oppositional Defiant Disorder). However, if the child has ASD and/or an anxiety disorder, LEGO Therapy would still be appropriate. 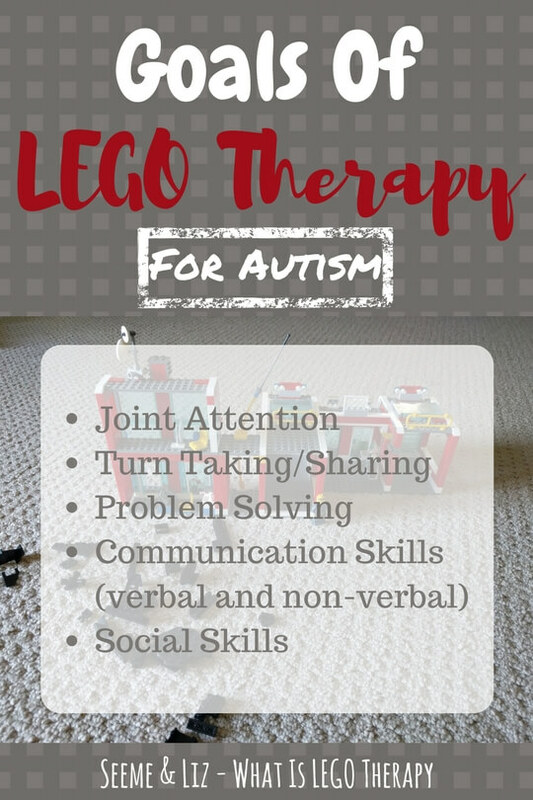 The reason for this being is that the main goal of Lego therapy for children with Autism is to work on social skills and increase spontaneous communication (both verbal and non verbal). If one child has a behavior disorder for example, her inability to regulate her behavior may take away from the learning of the other students. But, if all of the children had behavior disorders (not necessarily with Autism), then Lego therapy might still be helpful as a therapy tool. What Do You Think About LEGO Therapy For Autism? This type of therapy can probably be beneficial for many children, not just those with ASD. If you think your child could benefit from a LEGO class, look into LEGO clubs in your area. If your child is on the Autism Spectrum, talk to one of his/her therapists to see if LEGO therapy is an option in your area. To learn more about LEGO Therapy, check out the book by Daniel LeGoff: LEGO®-Based Therapy: How to build social competence through LEGO®-based Clubs for children with autism and related conditions. Have you heard of LEGO Therapy for Autism before? What do you think about this type of therapy? Please share your thoughts in the comments below. I can believe that lego therapy (play therapy) works for autism. From my own experience years ago, I saw the wonder of play therapy while working in a grade school. It helped in a number of situations and we used a variety of play activities to include legos. 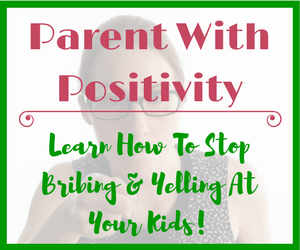 The kids are able to express feelings and emotions that they either can’t or are not willing to share with others. Somehow the acts of playing allowed these to come out, and through the further coaxing by us, they were able to get these feelings out, and from there we could move to more psychotherapy. This is why I can understand and agree that it likely would work for autism as well. The studies you have linked to are solid examples that this therapy should be considered for use by all. The great thing is that it can be applied anywhere. I do not think a professional need to monitor this type of therapy. As long as the parent sets up the guidelines and lets whoever is participating understand, this can be useful at home, in the park, anywhere. It really can improve the social skills of the kids from what I have seen. Great post and hopefully will open the eyes of parents looking for ways to help their kids who have autism. Thanks for your comment Dave! That is great you were able to use Lego to get children to open up about their feelings. To most people Lego is a STEM toy however it is also wonderful for building social skills as you have witnessed. This is an interesting concept and as a parent I can see that there is value in this to any group of children not just children that have Autism. The establishment of team work within children is a very valuable asset to them as they grow and work out their role in life. It also would provide the parents an outlet in their spare time, lets face the facts, LEGO is still fun to play with as a big person. And if you only had a single child family, the parent could easily enough take on one of the roles and then change it around. Interesting read and something that could be quite useful to pass on to any parents that may have children with Autism. You’re right Jordan, this type of Lego group can work well for all children! I absolutely love this insightful article because it is full of great information. This is fascinating and intriguing to me. 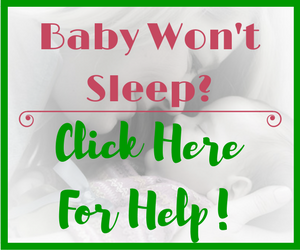 You did an excellent job of providing education and resources; The article was well written and easy to understand. I am just getting to know more about how powerful LEGO can be for therapy purposes. I would love to try this with my son who has autism. It may be difficult to find an actual Lego therapy for autism group depending on where you live. If this is the case and you know other families with children with autism you could try putting an informal Lego group together yourselves! While I was growing up as a child LEGO used to be one of my favourite games. I enjoyed it so much that later when I grew up I later discovered it really helped in developing my IQ. The LEGO Brickumentary Documentary that you shared was really helpful as it threw more lights on most of the points you were trying to pass across in your post. Thanks so much for this educative post. I think it will be very helpful for children with additional diagnoses of behavior disorders such as ADHD or OD. Thanks Dapoach, LEGO is a wonderful toy that can be used in so many different ways. 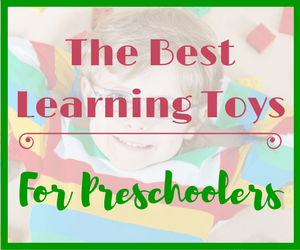 It is a great learning tool as well. I agree that LEGO therapy can be helpful for children with other diagnosis, but then the goals of the group may change depending on those diagnoses. I hadnt heard of lego therapy before, but my son with autism is addicted to it. We have two massive tubs! He is 7 and likes the lego for older kids, builds it himself which helps with his low muscle tone. The problem is once one sets done he wants another, he wont build the same one twice which is really expensive. He currently wants all the minecraft sets! Id love to try lego therapy with him, it sounds awesome. That is great to hear and it sounds like your son would most definitely enjoy a LEGO group. Try doing a google search for your area. There may not be one specific for children with Autism, but if it is a small class he may be able to join that. There are also LEGO rental programs around such as https://www.bricksmarts.com/ and https://www.pley.com/. These could also be good options for you because then your son can try many new sets without you having to keep them or having to pay full price for a set. You can also head over to Pinterest as there are many instructions for building new things out of old LEGO. You may need to help him with this as the instructions aren’t quite the same as they are as those that come with the sets. My son loves re-purposing his old LEGO by watching YouTube instructional videos, so this could also be an option. 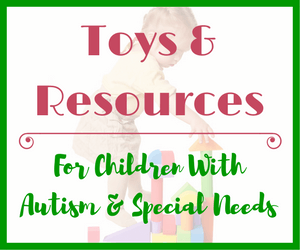 I have used this for my son who has autism, and playing Lego has improved his concentration, communication, and social interaction as well as his fine motor skills development. It’s a proven effective play therapy for autistic children. I think it can also help children with behavioural problems if used appropriately for it has improved my son’s attention and concentration skills. Thank you for this informative article. Thanks for your comment Adel. I am very happy to hear that your son has greatly benefited from LEGO! 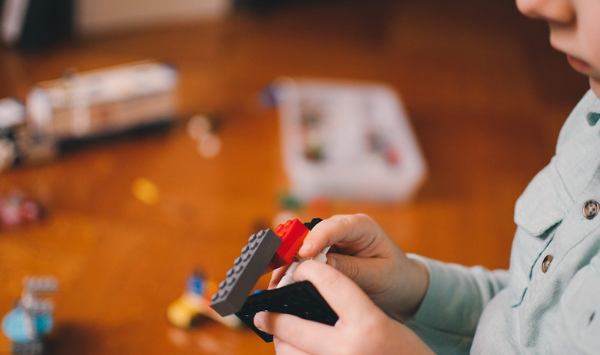 You are correct, LEGO therapy can be helpful for children with behavioral problems, but the main thing to keep in mind is that the behavior concerns would then become the focus. This is why in the article I state that if the goal of LEGO therapy is to improve social skills and communication for children with Autism it is best to keep children with behavior concerns out of the group. Ideally, a separate group would be run for children with behavioral needs. Are you able to give any more information about why Lego Therapy is not recommended for children with additional diagnoses of behavior disorders such as ADHD or ODD (Oppositional Defiant Disorder)? I read about this while do some research on Lego therapy. I would assume the reason is if these conditions exist in addition to Autism it might become too much to work on specific goals such as social skills which is a major goal for children with Autism. Perhaps if all of the children in the group had ADHD for example then the goals might be tweaked slightly by the therapist in which case it would probably be fine. It may become too disruptive if all of the children have severe behavioral concerns in addition to autism to make the group a success. However, from my personal experience, I think that Lego Therapy would probably be a great tool for children with behavioral issues, assuming there aren’t other diagnoses at play. And the children would need to be paired with others who have similar goals. I have now added this information into the article. Can I just say that I’m a regular reader of this great website and I think you’re helping so many people and families with the precious info you provide. Thank you so much! Before today I never actually heard of Lego being used as a type of therapy for autism but I can’t say I’m surprised. With my little ones, a simple LEGO set can hold their attention for hours and I never seize to be amazed by the creativity that comes out of them! I love the idea of assigning the different roles too, this isn’t something I would have thought of. As you say: problem solving, working together, analysing, evaluating – so many great things to come from as simple things as a few LEGO bricks – it’s amazing really. A brilliant post again, thank you so much! Thanks so much for your comment. 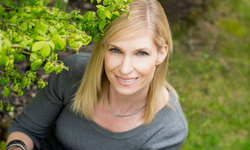 I am happy to hear you are a regular reader at Seeme and Liz! It really makes sense why Lego is so beneficial to children with Autism, since some structure is present when building with Lego. But it’s the social skills that come out of Lego play that these children really benefit from! This is a great article. Having seen over the years how Legos have helped my own son, I can definitely see this type of therapy as a very positive thing. The article got me thinking also about how I could use Legos to get my kids working together and helping one another. Through the play of Legos, kids can learn skills that would possibly not be so simple for them without the guided play. My kids are Lego fanatics. It is really nice to see them working together on a project. We often talk about the importance of teamwork while playing with Lego. But they also love to make their own creations. We have a K’NEX roller coaster and my daughter made her own ticket booth and food stand to go with the roller coaster so that the Lego minifigures can go to the amusement park!